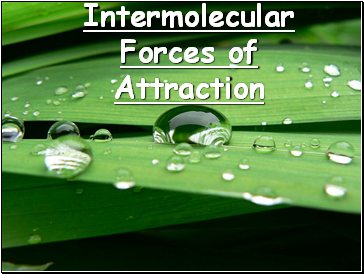 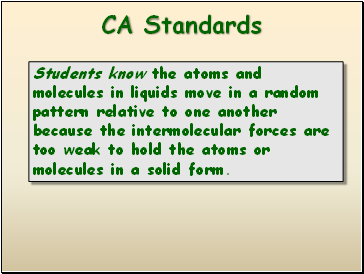 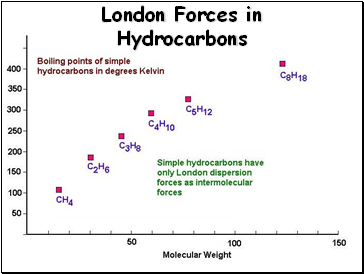 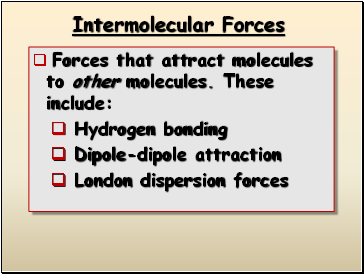 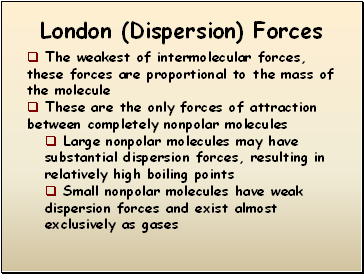 Students know the atoms and molecules in liquids move in a random pattern relative to one another because the intermolecular forces are too weak to hold the atoms or molecules in a solid form. 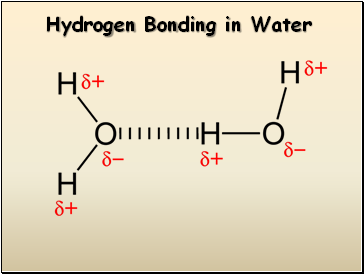 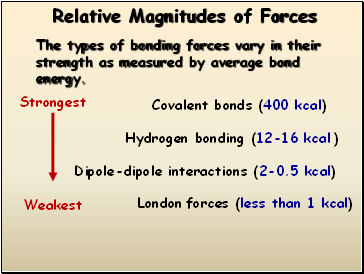 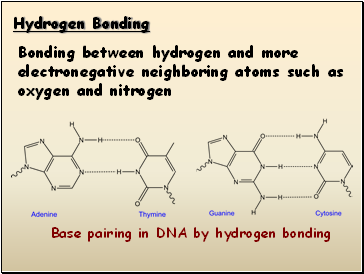 The types of bonding forces vary in their strength as measured by average bond energy. 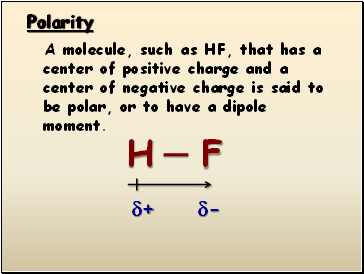 A molecule, such as HF, that has a center of positive charge and a center of negative charge is said to be polar, or to have a dipole moment. 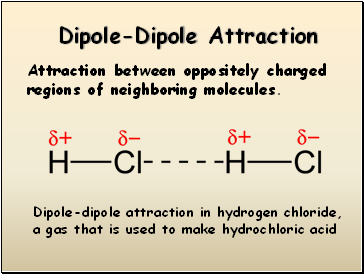 Attraction between oppositely charged regions of neighboring molecules.